Studien zur digitalen Medienkultur. A Publication Series. The third and fourth volumes have been published! 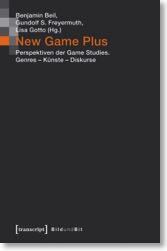 New Game Plus. Perspektiven der Game Studies: Genres – Künste – Diskurse. An Anthology. Ed. by Benjamin Beil, Gundolf S. Freyermuth and Lisa Gotto, Vol. 3 of the series Bild und Bit, 416 pages, Bielefeld: transcript Verlag 2015. 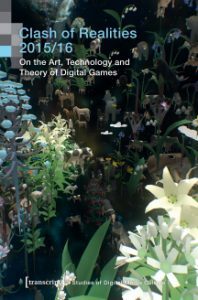 Clash of Realities 2015/16: On the Art, Technology, and Theory of Digital Games. Proceedings of the 6th and 7th Conference. Ed. Edited by the Board of the Clash of Realities Conference under the supervision of Gundolf S. Freyermuth, Vol. 4 of the series Bild und Bit, 636 pages, Bielefeld: transcript Verlag 2017. More information in German and selected texts can be found on the website for Bild und Bit. We are experiencing what only a few generations in the history of civilization have had the privilege to witness: the emergence of an entirely new form of audiovisual art and communication. Its technological foundation is built by digital hard- and software. This separates it categorically from the multitude of analog, whether handcraft-mechanical or industrial-automatic, apparatuses, which in previous centuries facilitated audiovisual experiences. I intend to develop a historical theory of modern audiovisuality from the new perspective that is opened up by this epochal transformation. Detailed information in German can be found on this website –> here as well as on www.audiovisualität.de. An account of the mechanisms of the historical process of the digitalization as well as its cultural and aesthetic consequences. Detailed information in German can be found –> here. 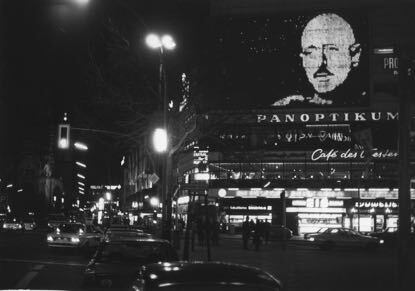 Wolfgang Menge (1924-2012) was one of the most important West German screenwriters of the post-war period. Television plays like “Das Millionenspiel” (after Robert Sheckley’s short story “The Prize of Peril””) or “Smog” (directed by Wolfgang Petersen) wrote TV history, crime series like “Stahlnetz” (loosely fashioned after the “Dragnet” franchise), soaps like “Ein Herz und eine Seele” (One Heart and One Soul), and post-reunification “Motzki” excited and provoked an audience of millions. As a talk show host Menge became one of the most prominent figures in television, and as a writer of radio plays, theater plays and movies, novels, and non-fiction books, he was a pioneer of transmedia writing. Der Televisionär, edited by Lisa Gotto and myself in the transcript-Verlag, combines critical and documentary perspectives and collects academic analyses of his works as well as key historical texts about and by Wolfgang Menge.